2018 opens with a major announcement in the B2B marketing sector: the two main players of B2B networking platforms have come together to create a new international and multi-segment leader in this ever-growing market. Companeo Group, present today in 17 countries (France, United Kingdom, the Netherlands, Belgium, Germany, Italy, Spain, Portugal…) is behind the B2B marketplace of services offered through Companeo.com. Head of the European pack for small and medium sized enterprises lead generation platforms, Companeo.com has generated more than 10 million qualified leads for its 5 thousand official suppliers in Europe. Infopro Digital, a leader in professional and informational services in France, already operates several B2B marketplaces recognized by professionals, notably L’Expo Permanente for manufacturing, Batiproduits in construction, and Bedouk for professional event organization. Infopro Digital and Companeo will possess the highest-performing and most comprehensive B2B behavioral database on the market, comprised of over 3 million professional decision makers. 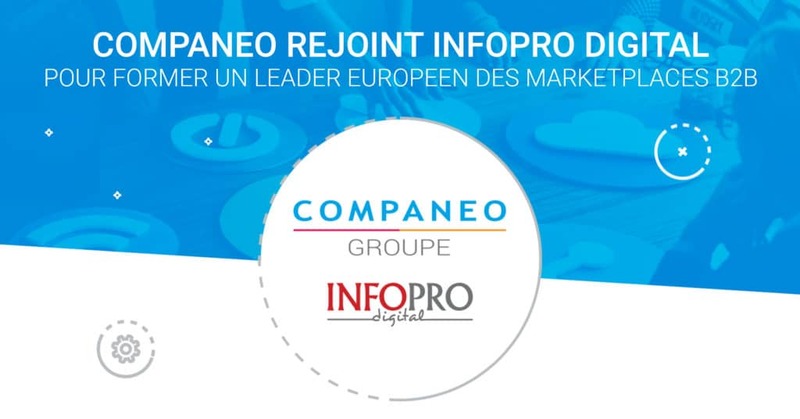 The connection of these two databases, Infopro Digital’s DMP, and the Big Data tools of the 2 groups will offer unparalleled perspectives to B2B professionals in France and in Europe. The combined database will help our clients for their direct marketing operations, lead detection, generating web traffic leads and marketing surveys. In addition to the Companeo.com marketplace, Companeo’s other services will also develop Infopro Digital’s product range. Now the number one French platform for organizing online Webinars, Webikeo serves more than 500 clients that have organized more than 10,000 webinars, attended by close to 250,000 participants. The web-conference platform is a technology that will not only expand Infopro Digital’s offering, but also augment its capacities to provide a superior diffusion of information to its professional communities. Neoperf, number one platform of B2B affiliation and the Leads Academy, a training organization for Leads management, will similarly become a new asset for Infopro Digital.